Low carb chocolate mousse that takes only moments to make! Rich and dark, this keto chocolate mousse requires no whipping, no beating, and no avocados. A creamy sugar-free dessert that tastes like the real thing. Watch my video on How To Make Keto Chocolate Mousse for all the details. If I had to choose only one dessert that I could eat for the rest of my life, I would probably choose chocolate mousse. I am quite certain I would never tire of it; something that cannot be said for most other desserts. I would just go on happily in a monogamous dessert relationship, chocolate mousse being my one and only, forever and ever, amen. It really is the perfect dessert. Light and airy and yet rich and creamy…and oh so chocolatey. And easy to make sugar-free too! It’s all I ever dreamed of in a low carb dessert. The only reason I don’t make a traditional keto chocolate mousse more often is that it’s rather a laborious process. Whipping the cream, beating the egg whites, melting the chocolate, carefully folding it all in together, waiting for it to chill. It dirties a lot of bowls and kitchen utensils and even though the results are totally worth the effort, I don’t always have time or patience for the effort itself. That’s for REAL chocolate mousse, not the faux kind with the avocados. As good as that looks, it just isn’t real chocolate mousse to me. However, I happened across recipe on That Skinny Chick Can Bake for Blender Mousse a little while ago and I was intrigued. I wasn’t sure I could get it to work with my sugar-free, low carb ingredients and it did take a little work to get it right. The first batch was much too thick after it chilled and was more like fudge. It lacked that airy creaminess so critical to a good mousse. So I adjusted and played and I finally hit on the perfect combination of ingredients to make it work. 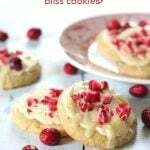 The consistency was perfect and I’ve made it multiple times since then, even coming up with a completely dairy-free version too. Check out how easy it is to make in this instructional video below. 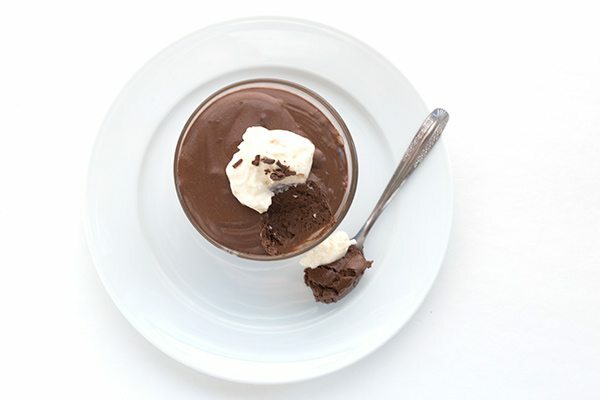 You can really use any non-dairy milk for this low carb chocolate mousse recipe. I frequently use unsweetened cashew milk or hemp milk but it also works with almond milk or the kind of coconut milk that comes in a carton. I’ve also successfully made a completely dairy-free version of this recipe for my lactose intolerant sister. Simply replace the heavy cream with full fat coconut milk and the butter with coconut oil and it works out perfectly. I will say that a few readers have indicated that they have a hard time getting the mousse to set properly. I’ve found there are a few tricks to it. One is to use good quality unsweetened chocolate, but NOT sugar-free chocolate. What’s the difference? Unsweetened chocolate is the 100% cacao kind with absolutely no sweeteners added. Sugar-free chocolate is sweetened with something (stevia, erythritol, whatever). 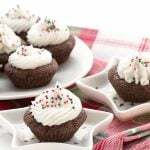 This makes a difference because unsweetened chocolate has a higher fiber content, helping the mousse to set. 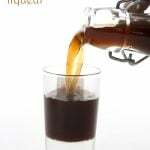 A bulk sweetener, one that has weight like erythritol, is also critical. Finally, make sure you are adding the scalded milk when it’s still really hot and get those eggs in there quickly so that they cook a bit as you blend. Do you love chocolate mousse with a passion, as I do? You have to try this low carb Easy Blender Chocolate Mousse! 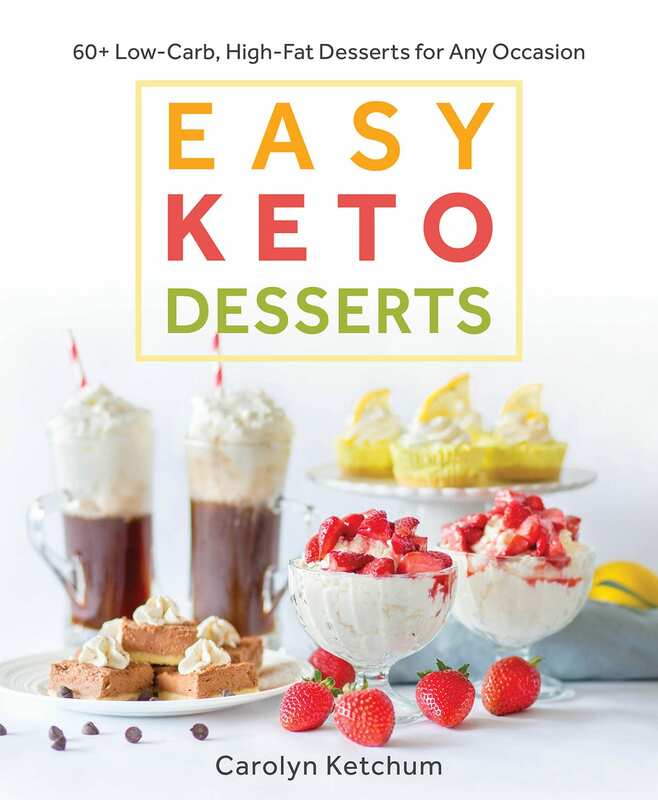 Want more amazing keto desserts? Check out my new Keto Desserts page. All recipes under 7g TOTAL carbs! 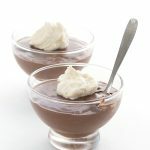 This low carb blender chocolate mousse takes only moments to make. No whipping, no beating and no avocados. 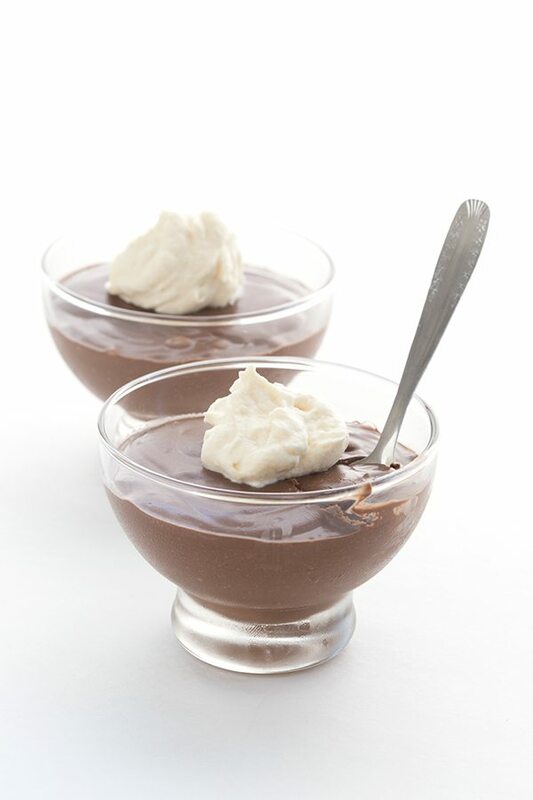 A creamy sugar-free mousse that tastes like the real thing. Inspired by That Skinny Chick Can Bake. In a blender, combine unsweetened chocolate, cocoa powder, sweetener, and espresso powder. Pulse a few times to combine. Pour in scalded cream mixture and blend until smooth. Serves 4. Each serving has 3.38 g NET CARBS. This sounds great! 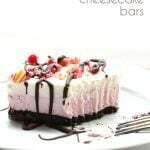 I was wondering if you have ever worked with Choco perfection bars ? It’s a chocolate bar that is sugar free and has 2 net carbs? I have a dark chocolate bar that I was wondering if I could use just this and skip additional sweetener? I’ve used them for eating but not for baking with. I would not do them in this application because already sweetened chocolate has less fiber than the unsweetened kind and your mousse won’t have the right consistency. It may to too thin and runny and I doubt it will be sweet enough. My daughter is allergic to cashews, can i use unsweetened almond milk for a substitute? 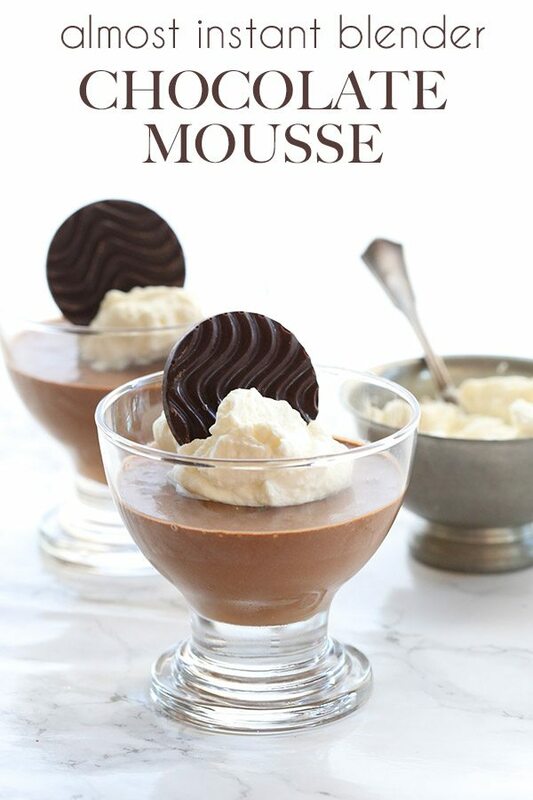 This looks wonderful and I totally feel the same way about mousse as you do! I just wanted to confirm that the cashew milk was unsweetened. You mentioned that you were creating this recipe for the unsweetened line but it just says cashew milk in the recipe so i wanted to be certain. I always have the unsweetened version on hand but I never use the sweetened one so don’t have that one. Yup, definitely the unsweetened. I only EVER use that. Your recipes are always great inspiration, Liz! 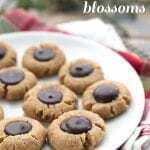 Love this recipe and ready to make it except I don’t have any unsweetened Chocolate. Would I be able to substitute 2 oz of Lilly’s Stevia Chocolate Chips, chopped in place of the chocolate?? Possibly. I can’t say for sure because unsweetened chocolate has tons of fiber that help give this the right consistency. But Lily’s chips might work since they have stabilizers to help keep the chip shape. Thanks for the quick replay. I love your site. I have found that every recipe turns out great because you take the time to make several times before you post. I recommend your site to anyone who wants low carb. 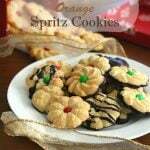 Dita: If you try the recipe with the Lily’s Chocolate Chips, please post how it turns out! No, sorry I haven’t tried just cocoa powder. I suspect it won’t work out as well but you’re welcome to try (still will be tasty, it just may not set properly). It should be fine in a food processor. You could also add some ground chia seeds to thicken it. I LOVE how easy this is…and as always, they look divine! May I ask if you make those cute chocolate buttons that you’ve popped on top in these photos? And if so, do use a particular mould? I’m a bit (read: totally) obsessed with funky silicone moulds. This looks so divine! Can’t wait to try!!! Do you almond milk would work in place of the cashew milk? that one is quite tricky to find over here. Yes it will – someone else asked about that above and Caroline said “yes”! Hello, cant wait to try this. I don’t use powdered sweeteners, would liquid stevia work in this? or would that destroy the consistency? I am not sure. Swerve has some fiber in it so that may help the consistency. It’s worth a try but you may end up with something more liquidy. 🙂 It will still taste great. You will need to tell me exactly what you used…brands and everything. I had the same issue. I used all the ingredients (and brands) that you suggest (in every recipe of your yours that I make!) – I always click straight from your blog so you get the credit for the purchase! (Thank you for all the excellent recommendations by the way, EVERY product you have suggested has been FANTASTIC). I am going on 2 hours – 1 hour in the fridge did just about nothing so now almost at 1 hour in the freezer. REALLY hoping it will thicken at some point so I can finish making the triple chocolate mousse cake I am working on! I even added another 1/4 xanthum gum to see if that helps. Hopefully it won’t affect the flavor? Caroline, any suggestions for getting it to thicken up? Rich, smooth and chocolaty! The mousse is just the easy satisfying dessert I have been wanting. I made it and served it tonight. So simple, so fast it was almost instant. I had the silk milk and cream on hand. I had picked up some Ghirardelli 100%cacao unsweetened chocolate at a regular grocery store a couple of weeks ago. It was just waiting for you to publish this recipe. Thank you for another fabulous dessert. Because of your recipes I never feel the desire to have high carb, gluten filled desserts now. Before I found your web site my blood sugar was out of control even with medication because of my diet. 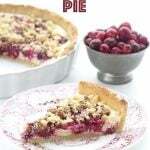 Now using your recipes my blood sugar stays within the normal range, even though I am eating desserts if I want them! Thank you! Looks wonderful! Do you know if almond milk will work in place of the cashew milk? Yes, it should. I mentioned that in my post. Yes, confectioner’s sugar (the powdered kind) should work too. We have Xylitol, Stevia, etc in the UK which would hopefully be OK? Do you think using pasteurized egg white liquid will work in place of eggs? I don’t have access to safest choice brand here. You said you have a dairy-free version–important for my family. Can you post that? Thank you! It’s in the recipe…all the instructions are right there to make it dairy-free. Looks so yummy! Only problem is that I cannot tolerate any of the sugar alcohols (major digestive distress). I have tried numerous types of stevia and just can’t take the bitter aftertaste. Any suggestions for any other sugar substitutes? Jessie, check out ALLULOSE — it is not a sugar-alcohol, and it is reputed to be just like sugar (has bulk, it caramelizes, is about 70% as sweet as sugar, etc.). But it is expensive. I found it on Amazon. Please use caution with allulose as there is some evidence that it is metabolized like fructose and may be hard on the liver. What about Lakanto Monkfruit Sweenter? If you have a coffee grinder you can grind it. It has no after taste. I wanted to post a photo of my finished product but it won’t let me. Would the bakers chocolate squares work also? I am not sure. It’s not the best quality chocolate so sometimes it doesn’t work well in recipes. I wanted to tell you my experience with this recipe! I proceeded with the following changes….reg. whole milk for the silk cashew……1 T. Hersheys dark choc. cocoa instead of 2T……used no expresso because I didn’t have any on hand. Instead of using the 4 dessert cups I poured it into a glass bowl with lid and refrigerated it a couple of hours. It thickened a little, but not nearly enough to call it mousse! Since I am not easily discouraged when it comes to chocolate or desserts, I popped it into the freezer for a couple of hours. What a lovely surprise to scoop out perfect consistency, smooth and creamy choc. ICE CREAM!! Most delicious dessert I believe I have every made in my 7 yrs. of low-carb WOE. Thanks! Totally and completely YUM!!!! Made a triple batch because my kids like chocolate too, but it turns out this is a more “adult” flavor. Yeah! More for me and my husband! Thank you for all you do! Your recipes always turn out delicious. Since the ingredients are expensive, it’s so nice to know they won’t ever be wasted. It is a very strong chocolate flavour, I agree. A triple batch, wow! Made this last night. LOVE IT!!!!!! I did put it in the freezer to set per another’s comment. I didn’t want to take the chance of it not setting. Mine was more on the pudding side, cause I couldn’t wait, but perfect still. After coming home and it being in the freezer for hours I moved it to the fridge over not. It really satisfied my need for a dessert. I also added more swerve to my liking. Haven’t been able to kick my sweet tooth even though living LC for 4 years. I’m an addict of the white stuff. ? Now on to your new energy bars. ? (disclaimer: I never follow a recipe more than once) I made this exactly as described and both myself and my boyfriend thoroughly enjoyed it. He recently had a caramel pot de creme and requested a caramel variant. I followed the recipe with the exception of omitting the chocolate; adding some xylitol caramel to replace most of the powdered sweetener; browning 1/2 of the butter before scalding the milk; adding about 1 tsp of gelatin to the sweetener while grinding. This made a panna cotta type dessert which was pretty tasty, but my boyfriend disliked the texture. At this point I made another batch of the chocolate variant while reducing the cocoa powder by 1/2. After blending I threw in the batch of caramel panna cotta and blended again. I recommend doing this. It was hella good. Better than the sum of the parts. It might be too much alteration on a recipe which is supposed to be instant, but it was extremely successful. 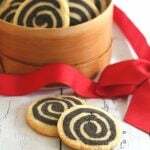 Much lighter with more of an airy mousse texture and less of a ganache texture. The chocolate is lighter in flavor, but the gelatin helps it hold together. Probably kid friendly as well. 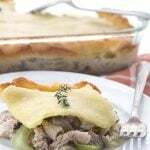 We absolutely LOVED this fabulous mouse recipe!!! Thank you for sharing it! Do you think you will offer any other flavors like white chocolate or maple cream? Caroline does have a white chocolate mousse recipe listed as well! And it’s DELISH!!!! When I boil almond or cashew milk it separates. Has anybody else had this problem? I never have. What brand are you using? Mine has been in the fridge for 3 hours and has not set. I am going to try and move it to the freezer and see if that helps. But I’m wondering what I’ve done wrong. The only different items I used were regular 2% milk and the Ghirarrdelli baking bar I used was only 60% cacao (it was all I could find). Do you think either of these made the difference? Thank you. You had me at “no avocados”. Thank you. Will be trying this tonight! P.S. I love avocados. Just not with my chocolate. So fast, easy and completely delicious! Even my hubby who is not low carbing and doesn’t normally like my occasional LCHF chocolatey treats loved it. Rich, smooth and just the right consistency, this is about to become a regular once-a-week dessert for us. Thanks for making a dairy free version! I just happen to have some unsweetened Silk coconut/almond blend! One question I didn’t see the answer for.. should I dump the water off the coconut milk and use the cream or the whole can? I use Native Forest full fat coconut milk. Thank you! If I didn’t specify to just use the thick part, you should use it as is. But it will work with just the thick part too. I love this mousse better than my old fashioned French version made with butter and sugar. I use Erythritol and organic decaf espresso; otherwise I’m up all night. I’ve made this recipe several ways, using heavy whipping cream+butter; but am now hooked on using full fat coconut milk and the coconut oil instead of butter (Kerrygold). I feel like the coconut is better for me than dairy. Both versions taste AMAZING. This is my go-to, can’t lose dessert recipe. I triple it and pour it into a big jar and keep it in the fridge. This way I can serve myself that perfect small amount after dinner. Thank you, thank you for this incredibly rich, deep chocolaty dessert recipe! I made the dairy-free version for my sister when she was visiting and I think it’s just as good or better than the dairy version too! This is absolutely delicious and soooo easy. I have made this twice in the last week, really satisfies my cravings, the second batch I grated orange zest into the milk mixture, chocolate and orange….fabulous! Thank you so much! Can’t have chocolate. Could you just use the coffee? Or make it vanilla? No I’m sorry, this recipe relies on the chocolate and cocoa powder to set properly. I’m about to make your Chocolate Layer Cake (it’s my birthday!) which I’ve made in the past and love love loved. I’m going to add some raspberry extract to the frosting and was considering doing mousse in between the layers of the cake instead of the frosting. Do you think this recipe would work for that or would it not be stiff enough to hold the layers up? Would adding a touch of gelatin work with this recipe? It will be very soft between the layers and squish out if they are heavy. I might add a bit of gelatin to firm it up. That cake is just gorgeous!!!!! WOW!! Oh my gosh — I made this mousse tonight and my husband, DIL and I loved, loved, loved it. We were tempted to lick my pretty little compote bowls. LOL. I will say that I couldn’t find cashew milk at my grocery store and my hubby really doesn’t care for the almond milk so I substituted Carbmaster Vanilla milk but used everything exactly (including the 100% Ghiardelli choc)….. it set up perfectly and the taste was amazing!!! Also — dang, it was so easy to whip up and it so very much like the Chocolate Pot de Creme that the Pioneer Woman makes and we all love! I couldn’t believe how good the mousse was — oh and the espresso powder really ramps up the chocolate taste. 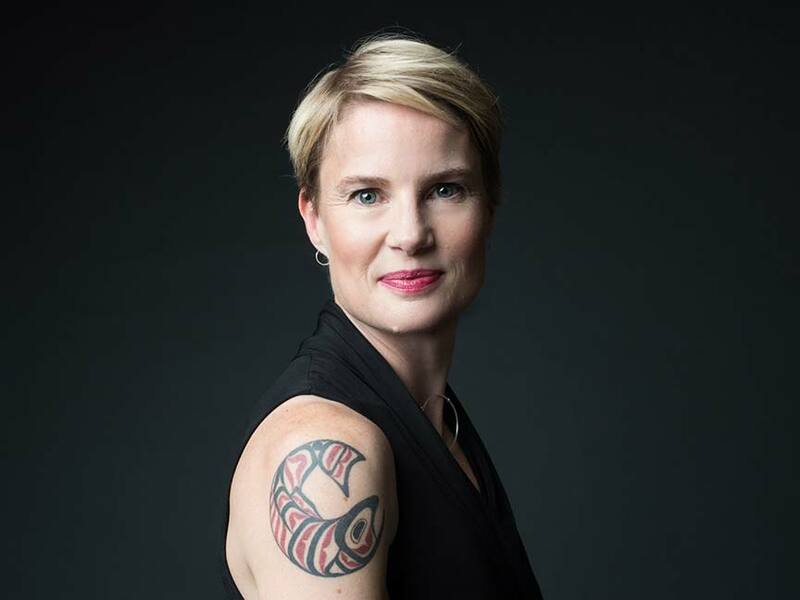 THX again Carolyn — you rock!!! Oh my gosh, this is the most devine low carb dessert I have ever had. I did use all coconut milk, (Arroy-D brand) because I did not have any cashew milk. It was just wonderful!! I will be making this again and again. As with many of your recipes! how do you make the whipped cream topping? What sweetener? It’s just whipping cream and a little powdered Swerve. Can you temper/ cook the eggs in the milk mixture before adding to the blender? Or is there a reason for adding the eggs directly to the blender? You could try doing that a bit with some of the hot cream mixture. But when you add the eggs directly to the blender with the hot milk, they get pretty warmed up. Not sure if they reach the requisite 165F for cooked eggs, though. I just made this for the second time this week. Oh my gosh! I don’t know whether to laugh or cry. It’s. so. good. I used all coconut milk as that’s what I had, and I may have added about a 1/4 cup cacao nib infused tequila, cause…why not??! This is my dream fancy dessert. With the tiniest sprinkle of fleur de sel it is just heaven. Thank you!!! Thank you Carolyn for creating this beautiful cake ! I must say that your followers here are so creative ! I never miss reading the comments. It is addicting or maybe I am a bit strange, lol. For the cashew milk? Yes, that would be fine. I LOVE this recipe. I make it so much (there is some in my lunchbox right now!) I had to travel to another city for a week for medical treatment and I took a baggie with all the dry ingredients so I could make it while we were there. This is perfection. I love this comment. I took a baggie with the dry ingredients on our family trip at Christmas! I have to ask: 1/4 c butter =4 T butter. Your dairy free option asks for only 2 T coconut oil. uhhhh, is this a typo? No, not a typo! Coconut oil sets up pretty firmly and I found with more if it, the mousse was too rich and coconutty. Technically they can be replaced 1:1 but I find coconut oil greasier in baked goods so I tend to cut back on it a bit. I’m getting 18 carbs for this recipe. The Swerve alone is 12 carbs per serving. Do you have access to a lower carb version of Swerve? Swerve carbs do not impact blood sugar at all. 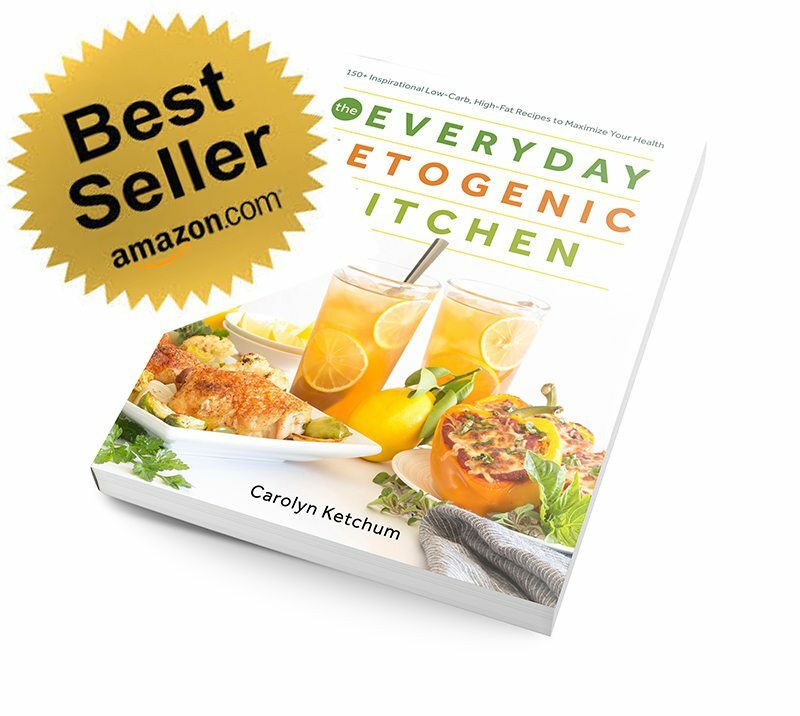 Erythritol is excreted right into the urine without ever entering the blood stream. So it does not count at all, even though it is listed as “carb”. This has to be my very favorite low carb dessert now! It reminds me of a rich French Silk Pie that I used to love. This is such an easy recipe to prepare ahead for easy “snacks-to-go”! I can’t thank you enough! 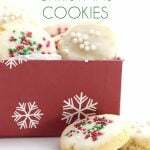 I am loving this recipe Carolyn!! Actually, I am loving your book! YUM! I loved this. I used coconut creme and almond milk (that’s what I have) and the coconut oil. I even did the whipped creme for the top using my blender. It was fantastic. I will keep this recipe and use it often. My husband loved it too. 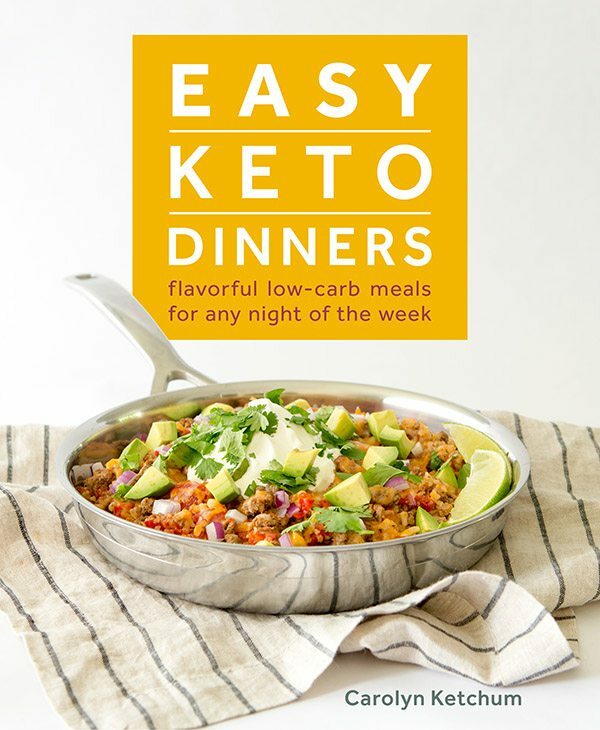 I am new to keto and have been all over the internet to find recipes to try. I LOVE this chocolate mousse!! I just can’t stop raving about it! Thank you for making this dessert and sharing it with us. Just divine! A light yet rich dessert that will satisfy any sweet tooth. Love how easy it is and so chocolatey! Have you ever worked with VitaFiber? Is it really low carb or even keto or non of those? Yes, well I am leery of those fiber syrups because they do spike blood sugar a bit so that could be the reason it made you crave them. I have made this recepy twice and I don’t know why the pudding doesn’t set. I use lily’s chocolate chips for the chocolate and for milk almond coconut milk. Would this affect the setting process? Yes to both. As I am clear in the instructions of this recipe…do NOT use an already sweetened chocolate as it does not have enough fiber to help set the mousse. Unsweetened chocolate (which has NO sweeteners in it at all) has more fiber, as does using some of the powdered Swerve. Both of these help it set. Also the almond milk coconut milk does not have a high enough fat content to help it set. Tried it with Splenda….Meh. Tried it with Swerve…..Mouth party! I was a little short ingredients the other day so I used all cream instead of 1/2 almond milk, and one egg instead of two. Simple 100$% cacao from the grocery store and Hershey’s cocoa powder. I mentioned the flavor, but this way it was slightly less dense…more moussy. I changed the egg and sweetener at the same time, so maybe Swerve is better for texture. Either way, this is TREMENDOUS, and Swerve is God’s gift to Ketokind. THANKS! 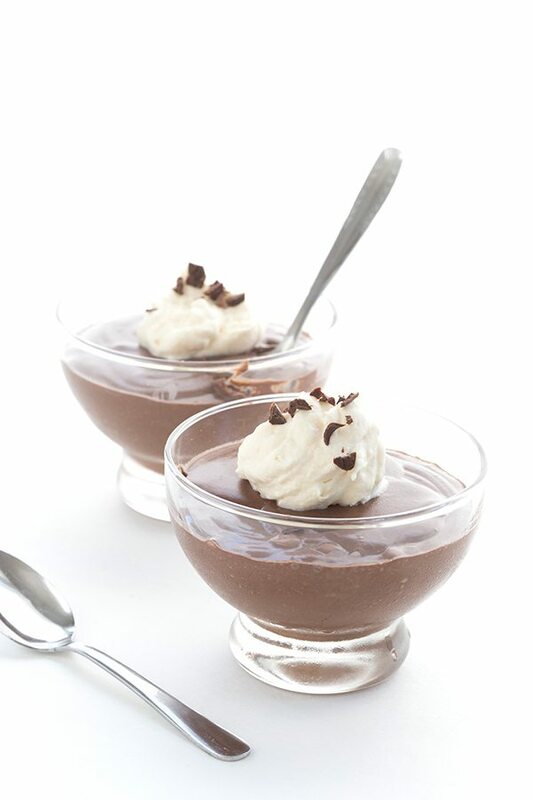 Just ordered your new dessert cookbook and happened across your recipe for Chocolate Mousse. I made it exactly as shown and used unsweetened Almond milk. I made it mid day so it was probably in the fridge for 5 hours before I topped it with strawberries and home made whipped cream. It was awesome and so easy to make. My husband was like “”we can eat this and not worry.” Can’t wait to see what else you have come up with in the sweets department. 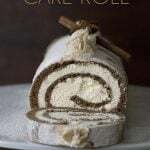 I have enjoyed your cookbooks so much and if this dessert is any indication of what is to come we will finally be able to enjoy desserts after dinner again. Thank you for figuring all this out and making the food delicious! I am completely obsessed with this recipe. I have been making it weekly for a month. The only thing I changed was I used coconut milk from the carton in place of the almond milk, and I added salt. So good! Now, please, for the love of GOD will you develop a vanilla version?!?!?!?!! I need! Hey, thanks for this awesome recipe. Is there a good way to add peanut butter or could I sub the 2 ounces of chocolate for peanut butter? 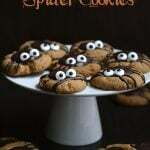 This was a huge hit in my house! Thanks for sharing your recipe! I can’t believe this is low carb! I need this in my life! I’m in love with this sweet treat! Made this last night and we have a winner! Our new favorite mousse! Thanks for the tip on getting it to set up! So helplful! Loving this low-carb mousse idea! It makes for a perfect little treat!